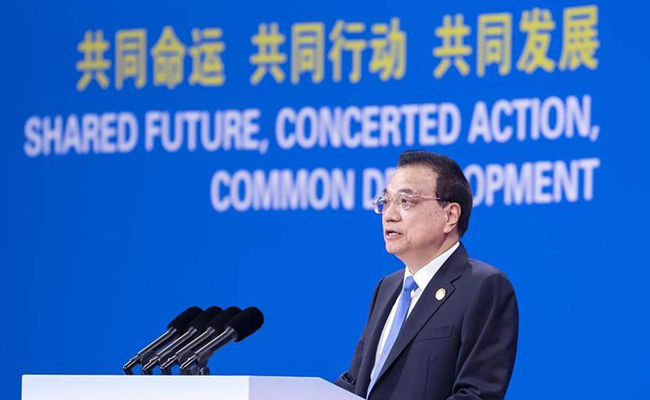 BOAO, Hainan, March 28 (Xinhua) — Chinese Premier Li Keqiang said Thursday that the country is ready to work with other Asian countries to resist risks and challenges and expand the space for development. Li made the remarks at the opening plenary of the Boao Forum for Asia annual conference in Boao, a coastal town in the island province of Hainan, south China. 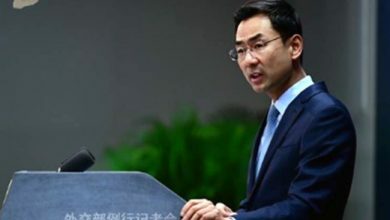 “All parties should work together to maintain the overall environment for peaceful development, deepen strategic mutual trust, and promote an Asian approach featuring mutual respect, consensus building and accommodation of each other’s comfort levels,” he said. 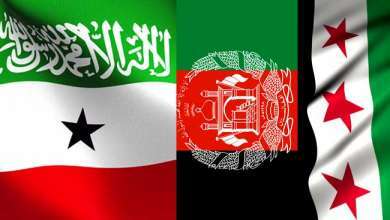 Li called on all parties to cooperate to enhance regional integration, reach a win-win solution on the Regional Comprehensive Economic Partnership agreement negotiations as soon as possible, promote the integration of regional integration mechanisms, build a more dynamic Asian market and synergize the Belt and Road Initiative with the development strategies of Asian countries. 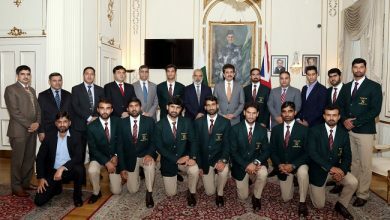 He also called for concerted efforts from Asian countries to create new patterns of innovative development, strengthen cooperation in innovation, create an open, fair, transparent and predictable business environment, and promote the sharing of innovation resources and outcomes, so as to make the Asian economy to advance steadily and further on the road of innovation-driven development. 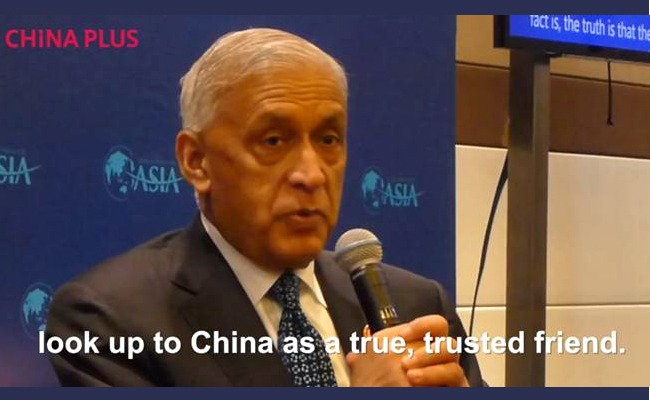 Pakistan’s former Prime Minister Shaukat Aziz teaches Newton’s Third Law of Motion during a press briefing at the Boao Forum for Asia. “True, trusted friends,” he says, are “three important words” to describe the relationship between China and Pakistan.